After returning from several days of travel, the rain subsided and ventured into the garden. 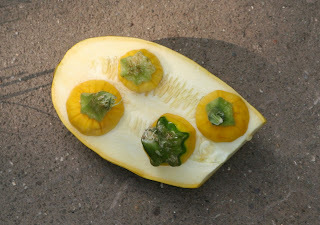 As one might expect, it was in a bit of disarray, but the squash were producing nicely. However, in my absence, there were several rather large squash that needed to be dealt with immediately. Yesterday, I cooked and froze 6 quarts of squash. Four packages of yellow and two of zucchini. It through the seedy bits to the chickens. I noticed that on one section of cut squash I rested the tops of several others and as I walked out to the chickens, I thought it looked rather funny, so I took a picture. As you may remember, I recently made a batch of Blueberry-Lavender Butter. Here is the finished batch sitting on the stove. I bought two quinces and two small boxes of kumquats as I do love kumquats. I have planted a dozen quince trees over the years and not a one of them survived, so no quince laded trees at Lucindaville. A house guest left a bag of cherries in the fridge that needed to be dealt with. Let the small batch canning commence. I made several small jars of quince preserves, some kumquat marmalade with a shot of orange liqueur, a few jars of cherries pickled with star anise joined the last two jars of blueberry butter that didn't get eaten or given away. On Friday afternoon, I bought 4 gorgeous white peaches. By Saturday morning, one of the peaches was already beginning to get mushy. I quickly peeled and sliced the peaches, doused them with lemon, and covered them in sugar and set them in the fridge. On Sunday, after cooking the squash, I made some peach preserves with ginger. You might remember my recent post on these Home Made tops. 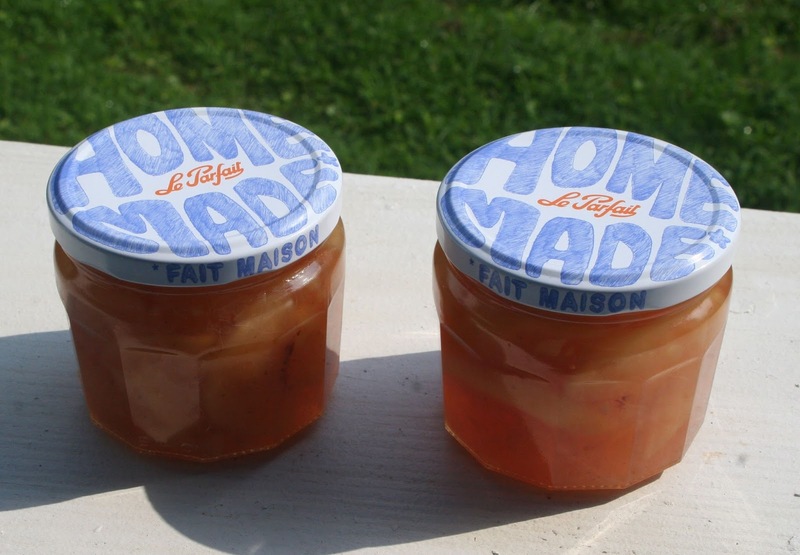 Last year I wrote about making a Lilac Jam and how I liked to think of it as jamelly. Traditionally, jelly is clarified till pristinely clear, but I like it with a bit of the "stuff" in it and less Jello-like. Well, I feel the same way about preserves, I looked at several recipes for peach preserves and they all called for a mashing of the fruit. I didn't want my lovely white peaches obliterated, I wanted them to be recognizable in the jar and not encased in Jello. I wanted the peaches floating in a thick, ginger syrup, not suspended like a fly in amber. Remove the container from the refrigerator and place the contents in a preserving pan, using a spatula to get all the mixture out of the container and into the pan. Bring mixture to a boil and cook about 10 minutes. Turn off the heat. Sprinkle the pectin over the fruit mixture and stir to incorporate. Return mixture to a boil. 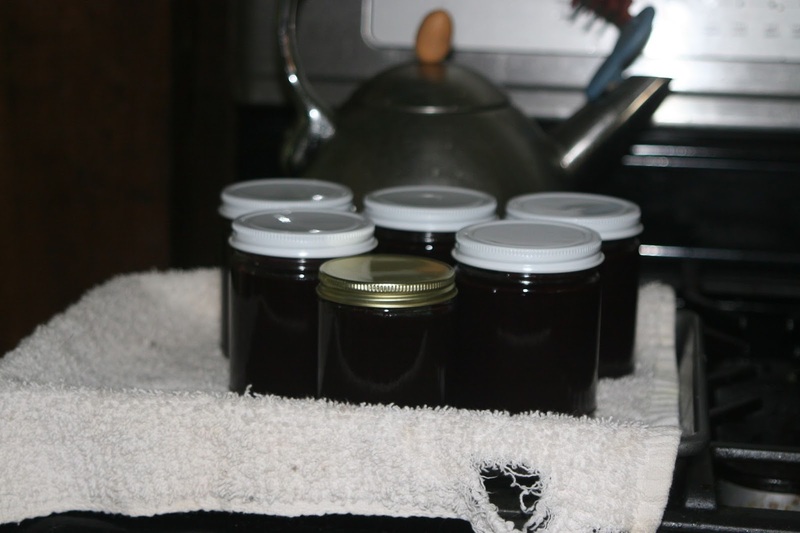 Place in prepared canning jars and process. These ginger-peach preserves are slightly runny with actual peach slices and not a stiff, mashed pulp. So maybe they are syrup preserves, peaches in ginger syrup, or sliced peach preserves. Hey, they don't care what you call them as long as you call them when you make biscuits. And rest assured, they are Home Made. 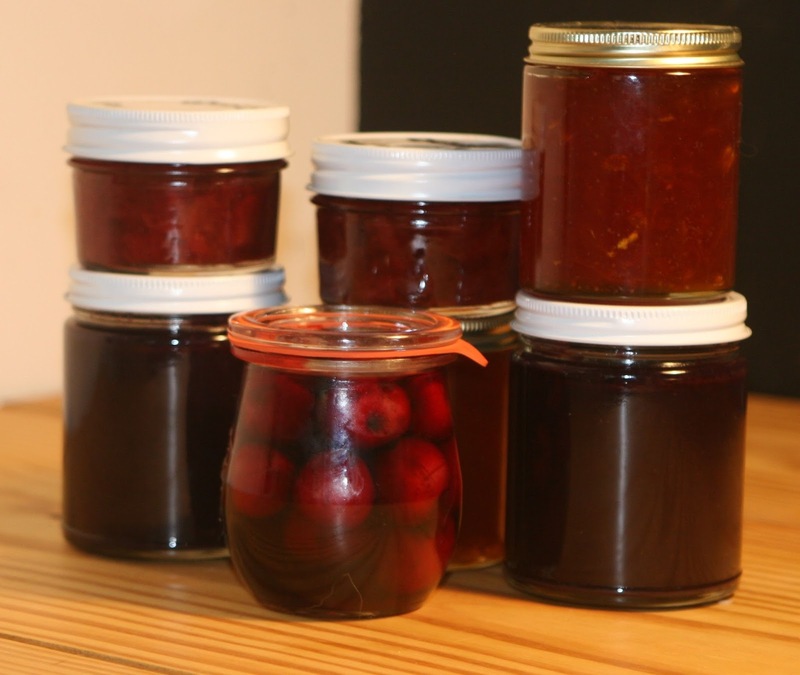 I've just recently gotten into canning. Blueberry lavender butter sounds delicious!